Cancer treatment can be complicated and frustrating. Keeping track of appointments is easier with this sheet of reminders. 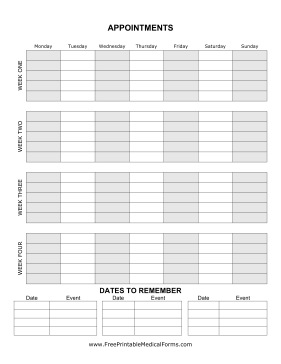 This useful planning sheet can be used in combination with our other cancer treatment planning printables to design a comprehensive binder for your recovery.